Caption slip reads: "Photographer: Lou Mack. Date: 1960-06-22. Reporter: Caswell. Assignment: National Retired Teachers Assc. 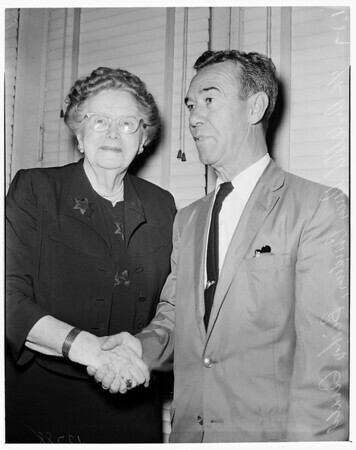 17-18, L to R: Dr. Ethel Percy Andrus & speaker Dr. Gerald H. Kennedy, Bishop of Methodist Church, So. Calif."